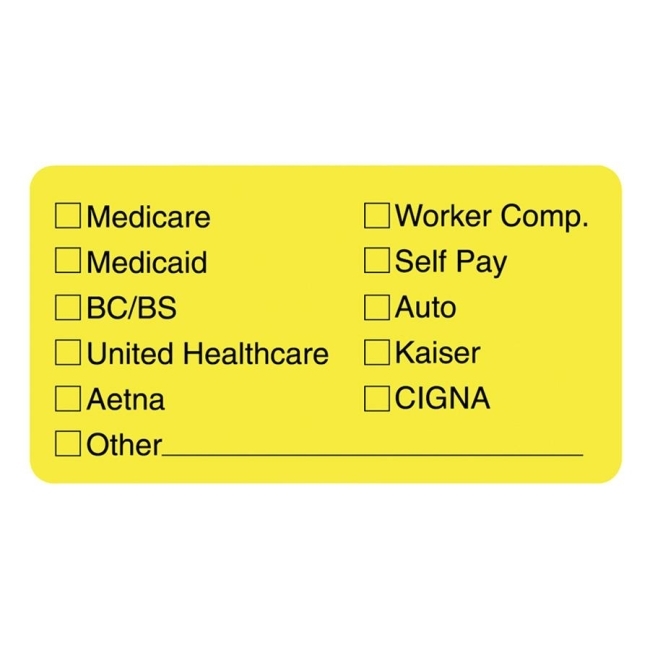 Labels to indicate insurance coverage provider are created for medical office use to convey vital information quickly and easily. 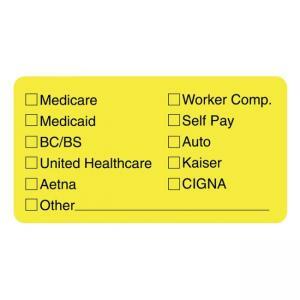 The list with check-off boxes by each entry includes Medicare, Medicaid, Aetna, United Healthcare, BC/BS, workers comp, self-pay, auto, Kaiser or CIGNA. The label also has an entry marked, "Other" with a line to write in another insurance provider.